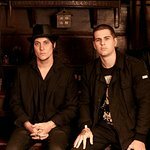 Members of rock band Avenged Sevenfold have announced they will make a charity donation to mark the 10th anniversary of 9/11. 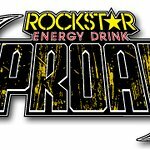 The Rockstar Energy Drink UPROAR Festival and tour headliners Avenged Sevenfold are working with radio station The Rock 106.9 WCCC to raise funds in remembrance of the tenth anniversary of 9/11. To respectfully remember this day and help financially support some great foundations that have assisted fire fighters, police officers and their families, the Rockstar Energy Drink UPROAR Festival and Avenged Sevenfold will make a dollar for dollar match of all donations up to $10,000 made through The Rock 106.9 WCCC from now through September 11, 2011. Donations will go to the National Fallen Firefighters Foundation and the National Law Enforcement Officers Memorial Fund.